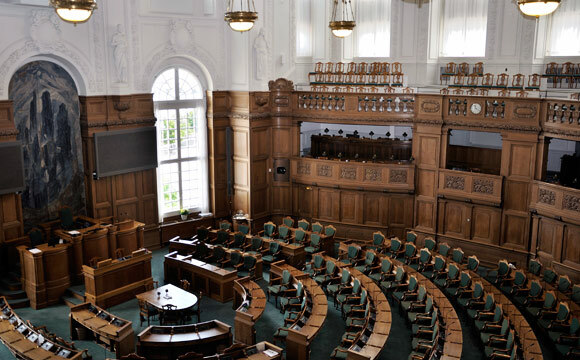 The Danish Parliament in Denmark has approved a passed a bill that requires authorities in the country to seize materials from asylum seekers to pay for their upkeep. ​ Yes, to seize and not that the asylum seekers are expected to surrender whatever they have. But that the government will seize any valuables belonging to asylum seekers. According to the BBC, the police is empowered to seize materials worth more than 10,000 kroner (1,340 euros; £1,000) from refugees to pay for their accommodation and feeding. Further, asylum seekers should no longer expect their families to reunite with them soon after arriving in the country. The bill has been described as controversial and seen by rights groups as essentially depraving to people who have left their homelands in flights from wars and persecutions. The report said that Ban ki moon, the United Nations Secretary General opposed the bill. However, the new rules says that the government will decide the amount of money an Asylum seekers can have on him or her. The government will also specify the amount that is above the amount an Asylum seeker can or cannot keep. But the word 'seize', which suggests taking with force without regulation, is what observers find absurd. And the question that immediately arises is is that since the government is to empower the police to seize, why do they need any regulation at all?